Dr. David Liao always appreciates feedback from his valued patients. To date, we’re thrilled to have collected 7 reviews with an average rating of 5 out of 5 stars. Please read what others are saying about Dr. David Liao below, and as always, we would love to collect your feedback. Doctor David Liao change my life. I was up and running on the 4th day. God has blessed his hands. What a wonderful surgeon. I am one year past surgery and love my new knee. The recovery’s been easier than I thought it would be and I’m just sorry I waited as long as I did. Where should I begin to tell you all the wonderful things about Dr. Liao and his staff. If it wasn't for Dr. Liao I might not be walking today. My hip replacement of March 2017 removed a nightmare of pain. He is the most competent dr. I have every been treated by. Both my husband and I go to his Greenville office. The staff there is AMAZING!!!! I could go on and on. Saying thank you to them is not enough. If there is a doubt in your mind about which dr. to see for joint problems, he is the MAN. 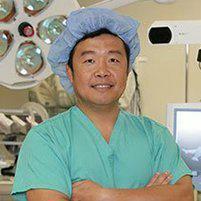 Dr. Liao performed a ROBOTIC total right knee replacement. This knee was totally worn out. it should have been replaced two years ago. The pain was 24/7 no relief at all. The surgery went well, not a great deal of pain at all. The day after surgery I was walking around the hospital ward like I had no surgery at all. I was discharged four days latter. I am single and all on my on, was able to take care of myself on a daily basic. With the aid of physical therapy weekly ,l improve daily . Well within fourteen days l have 97 degrees bend on my knee. Back in 1999 I had my left knee replaced the old fashion way and had put no weight on my leg after five days in hospital. To all out their that may be looking at knee replacement, l highly recommend ROBOTIC surgery, the pain level is less ,recovery time shorter, and quicker mobility. In closing, l would say don't wait ,stop the pain and get back to a normal life, through Dr. Liao ROBOTIC Knee Replacement, Great Surgeon. I have had several surgeries performed by Dr. Liao in the past and recently. I never doubted that my surgery would not be successful. He has been blessed with a talent for surgery, so that makes all of us blessed to have him as our surgeon. I never hesitate in recommending him because I know they will be in good hands.